I'm a day behind because of the Bank Holiday/Memorial Day weekend holiday. Today feels like Tuesday instead of Wednesday, but I'm not complaining. It just means that the weekend is that much closer. Woo hoo! I can't believe it's June already. Here are some photos that I took over the weekend with my phone through the windshield of our car. Don't worry, I wasn't driving :) They're rather fuzzy, but I thought that I'd share them here anyway because I love sharing snaps of the countryside out here in Wiltshire. 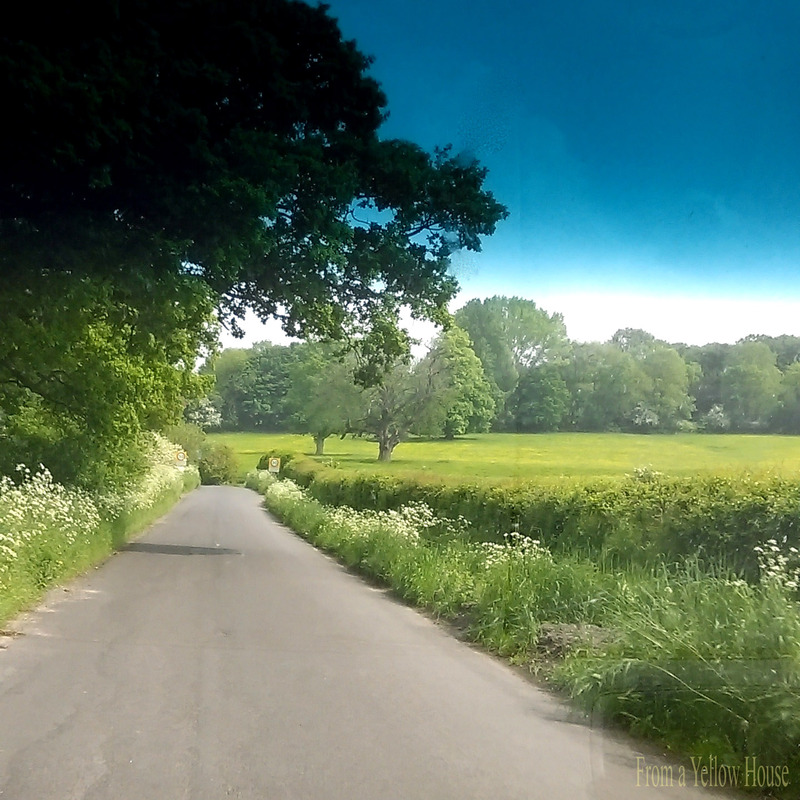 The intensely blue sky in the upper photo is just the effect of the windshield. This second one was taken on the same day, but the clouds were starting to roll in at this point. 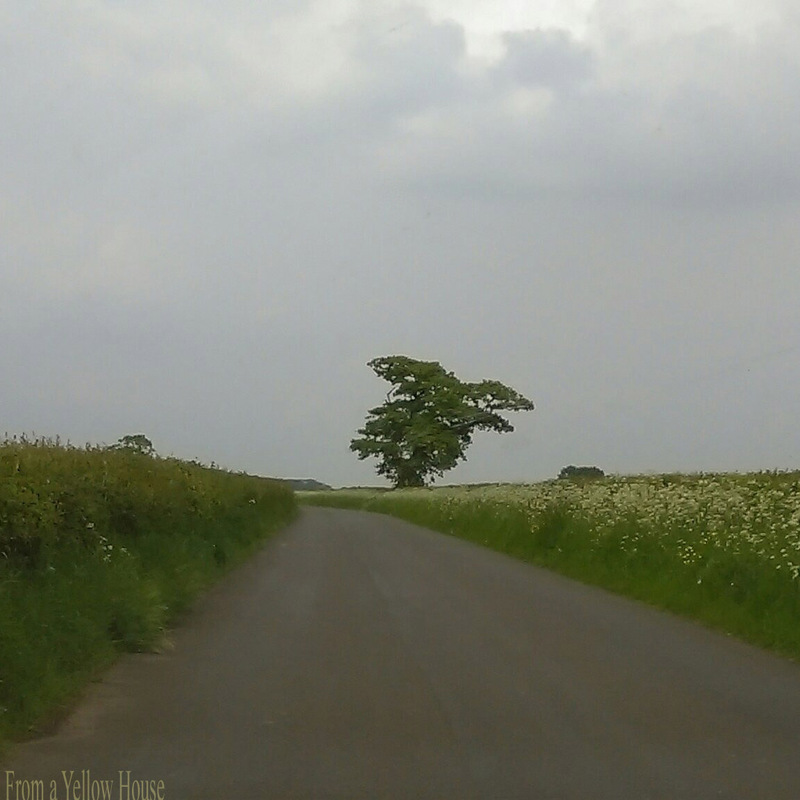 I liked how moody it looked along this road with the tree striking its elegant pose. No one needs me to say it, but I'm gonna say the obvious anyway...nature creates some beautiful scenes.